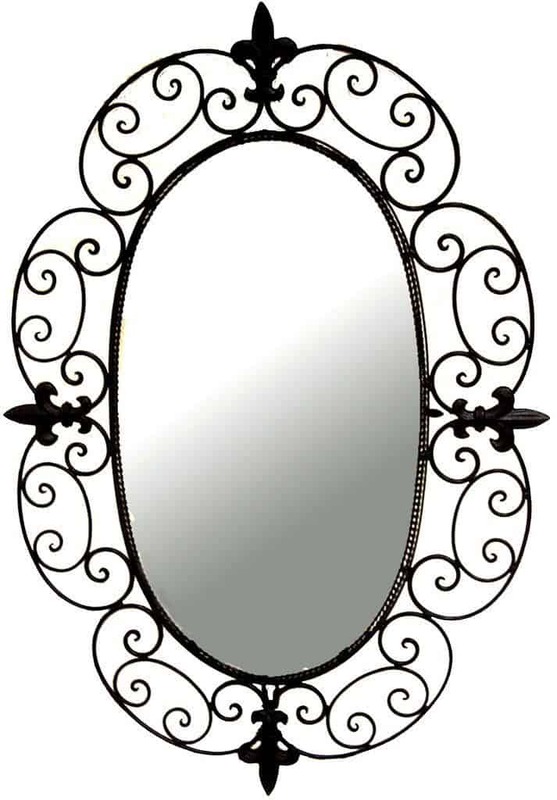 Mirror, Mirror on the wall… what’s the fairest mirror of all? Mirrors are a must in any bathroom. We use them to brush our teeth, shave, apply make-up, style our hair, adjust our clothing, spot unwanted hair for removal, and ponder our outer beauty. They also add dimension and depth to the overall room. 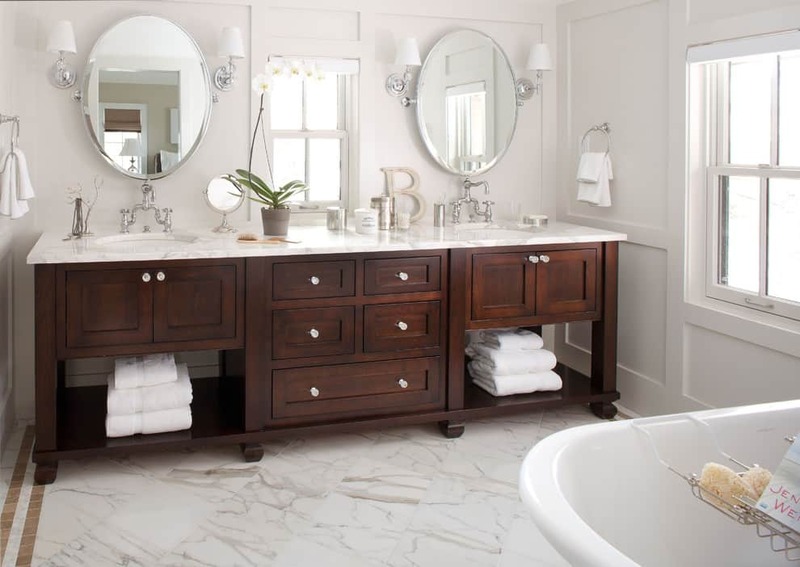 But did you know that the shape of your bathroom mirror makes an impact on the entire room? 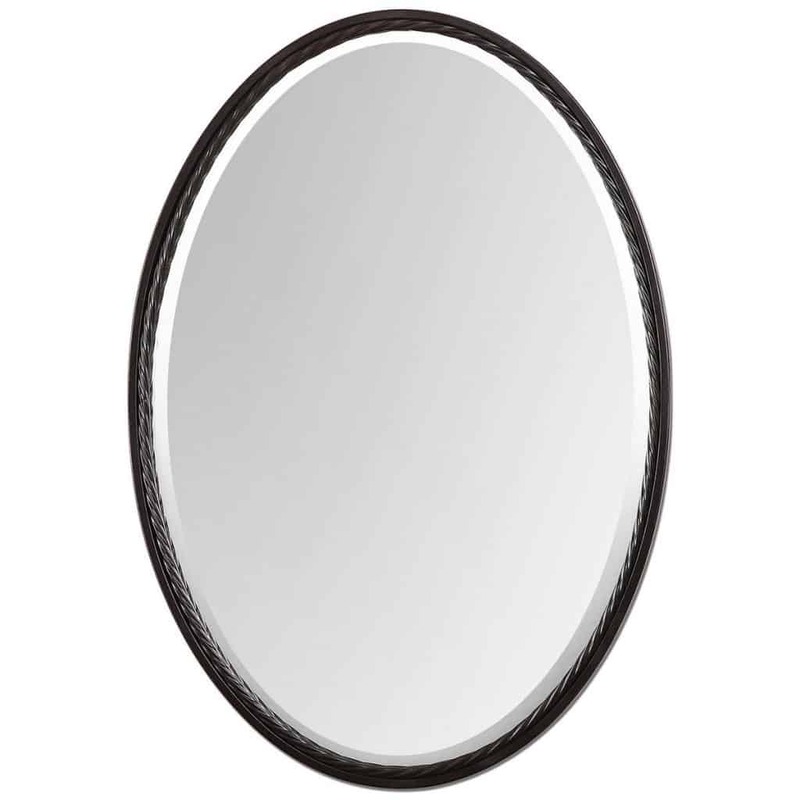 Yes, there is a fairest mirror shape of them all… the oval bathroom mirror. What is it about Oval Mirrors? In shape psychology, ovals deliver a message of the life-cycle and has connotations of nature, especially the sun, moon, and earth. 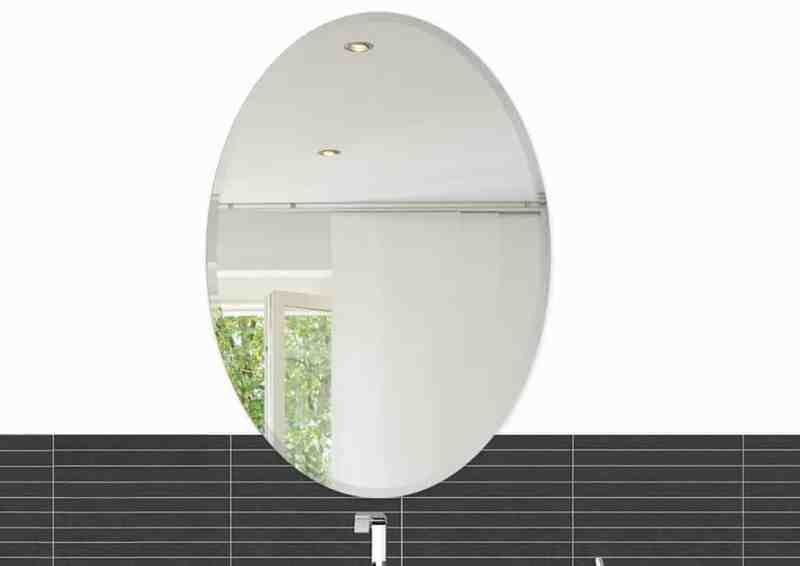 The shape of the mirror lends to the style and feel of your bathroom oasis. 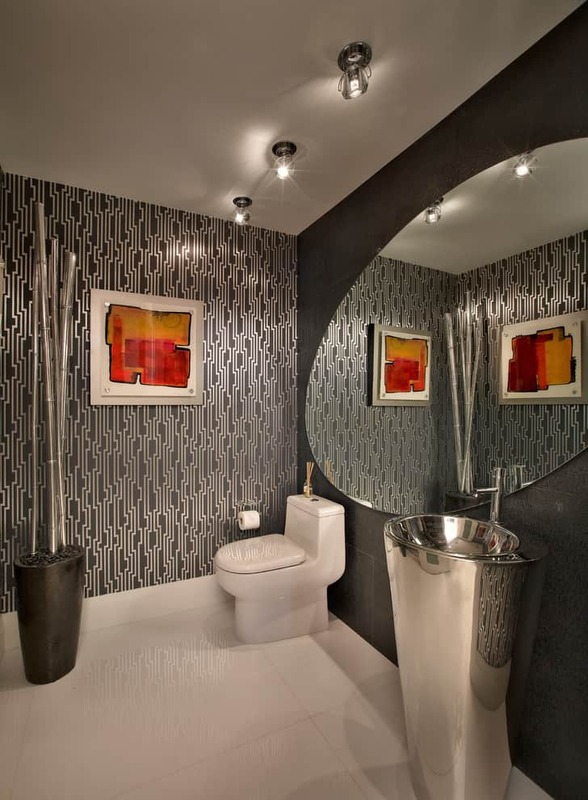 The design of the mirror can make any statement you want to have made in the confines of your bathroom space. But make no mistake, the oval bathroom mirror is the queen of all bathroom mirrors. The round nature of the oval offers a subtle and delicate softness that rectangle mirrors with their abrupt and angular sides and corners, simply cannot provide. 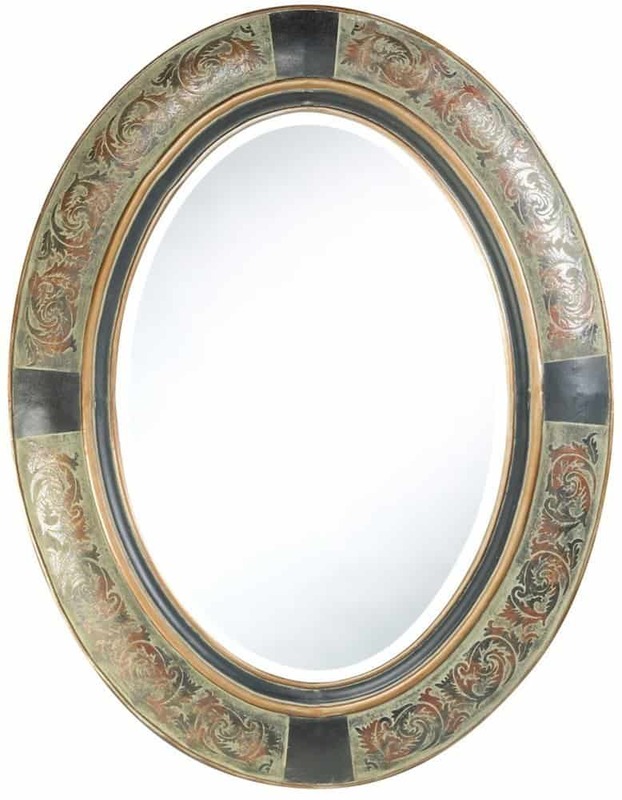 Oval bathroom mirrors are classic but unusual, and not always the most straightforward choice. Oval mirrors by their very nature create a visually calm and organic flow on the wall in front of you as your perform your many tasks. And yet, while promoting serenity, the elongation of an oval (over, say, a circle) provides a subtle sophistication as well as allowing you to see more of the length of your body in an oval mirror, rather than a circle. Oval Mirror Ideas for a Modern Bathroom? 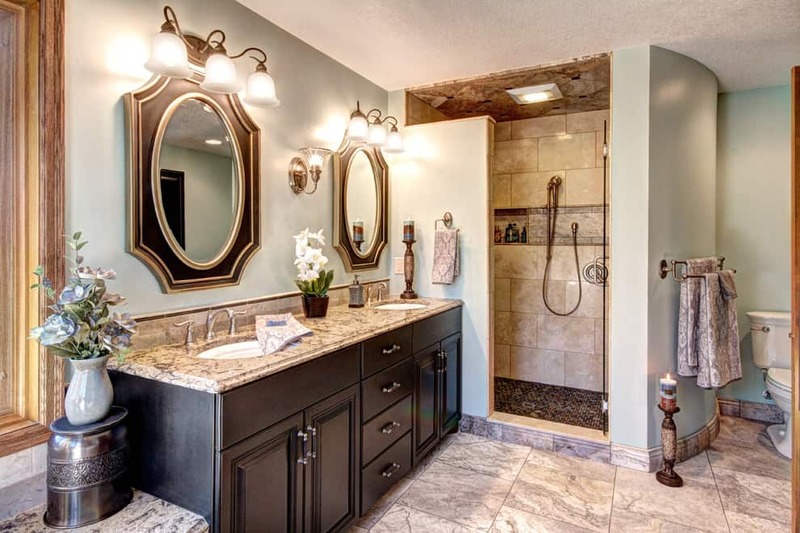 Now, you may be thinking that your more hip, modern bathroom cannot and does not want the trappings of what you might see as the old-fashioned, stodgy manner of oval bathroom mirrors. Ordinary square or rectangle mirrors can be striking and modern, but they lack the level of elegance and grace that can be found within a “never ending” oval shape. 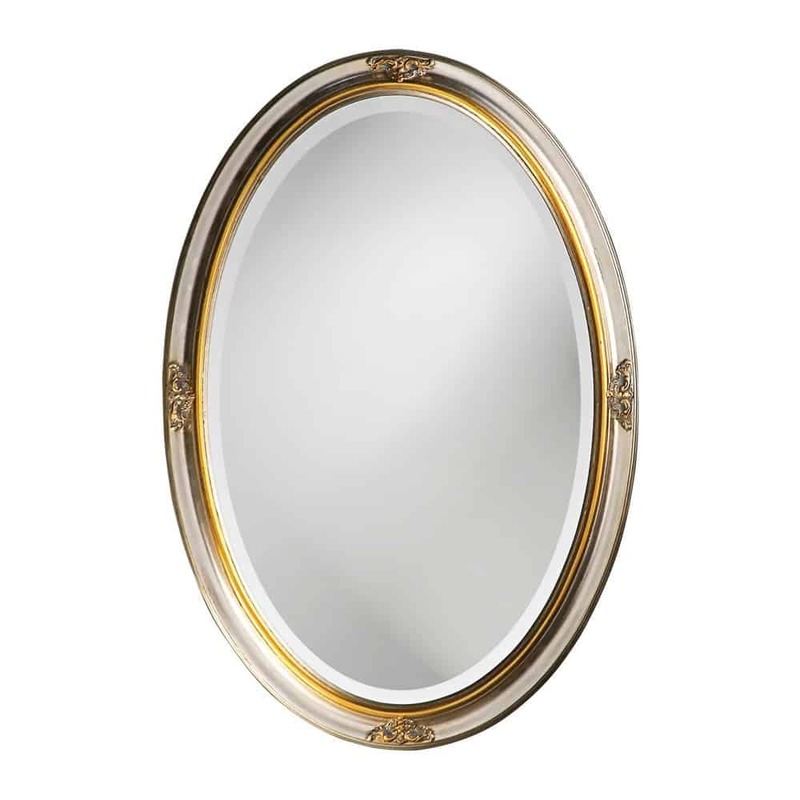 Oval mirrors bring an elegant charm to the room. They add soft curved lines that can contrast the clean and strict lines of a modern bathroom. 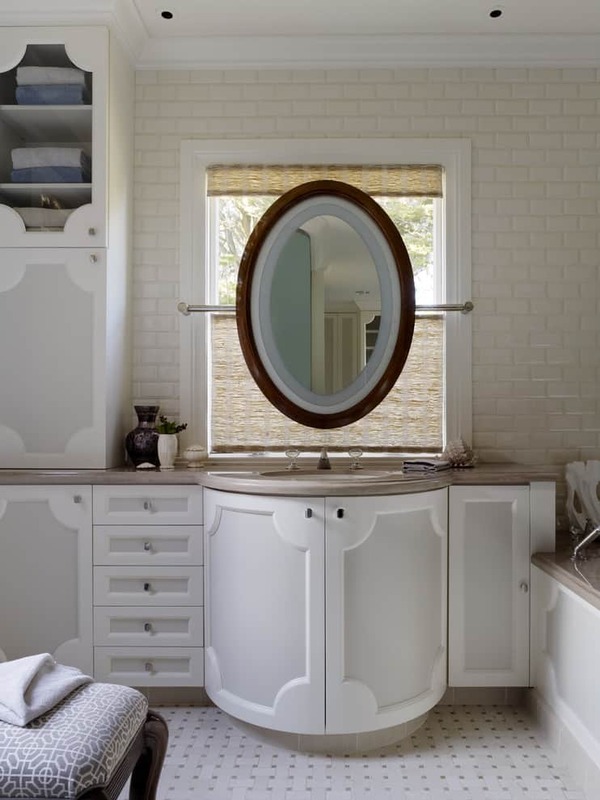 Right-angled shapes are far more popular in design, which makes rounder oval mirrors stand out even more. 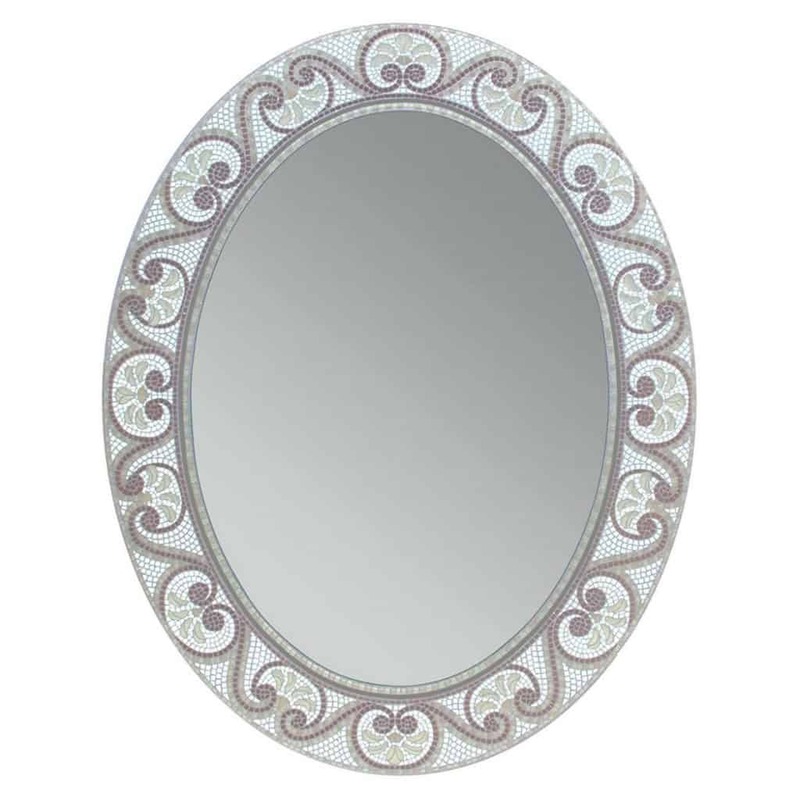 You are implored to give the oval mirror a second look! 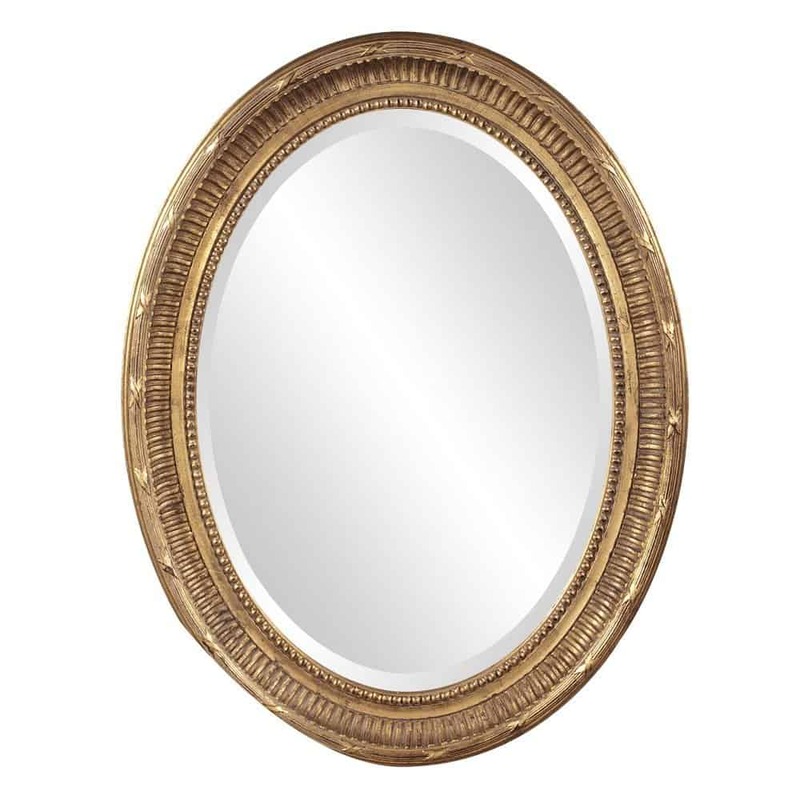 Oval mirrors no longer just come in the styles that you’re great-grandmother knew. 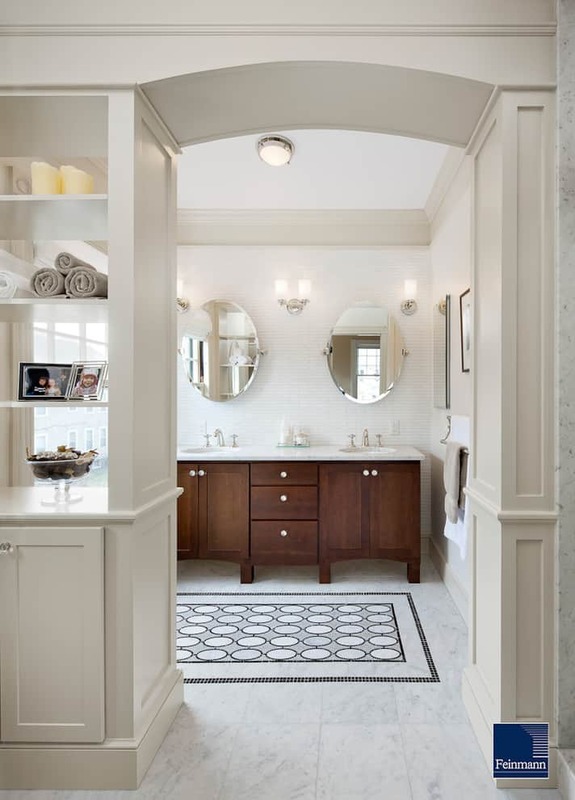 If you’re going for a period-themed bathroom, ovals showcase integrity, perfection, and a stand against angled geometric shapes. 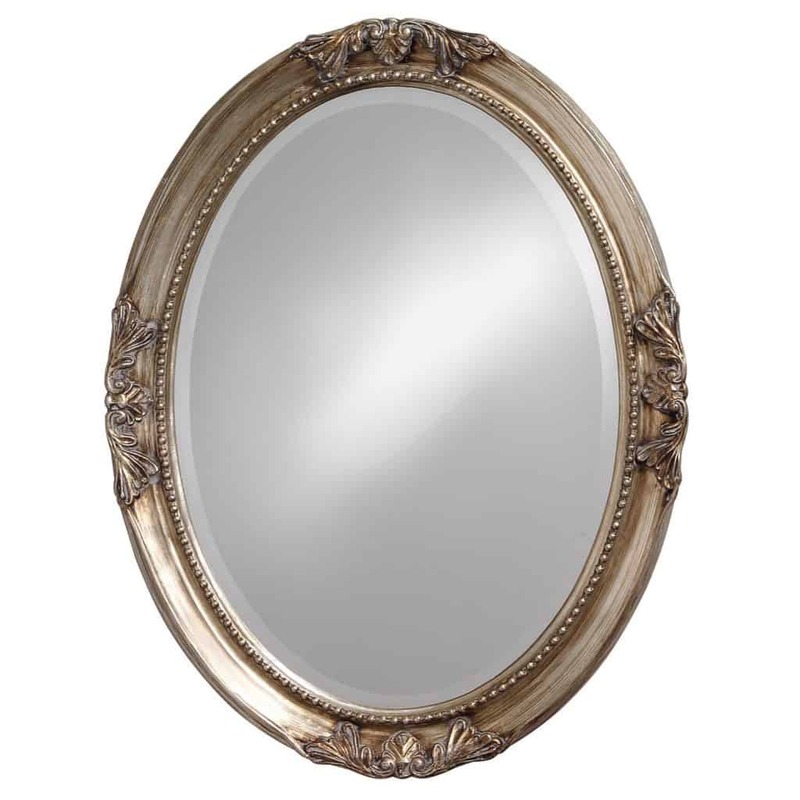 Oval mirrors are perfect in traditional Victorian or antique styled bathrooms, especially with ornate and detailed frames. 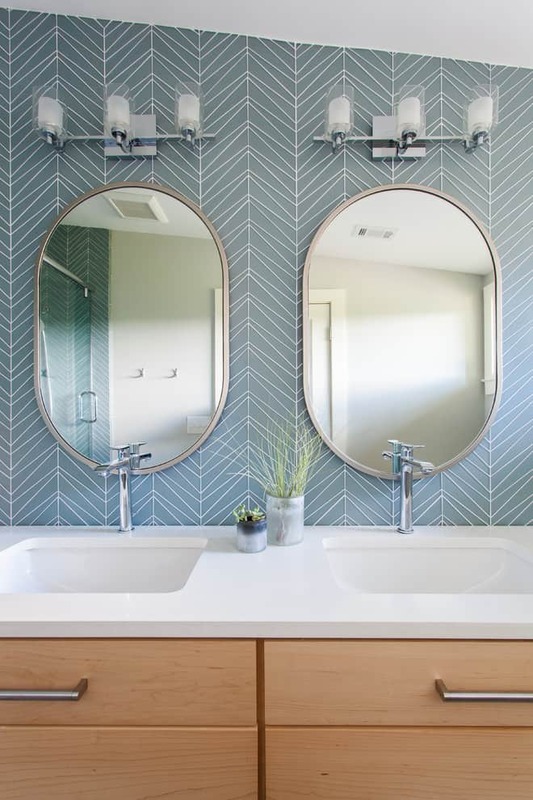 They also look wonderful in mid-century themed bathrooms, where softer shapes became more popular following the popularity of Art Deco and its harsh geometric lines and contrasts. With amazing options in frame colors, you will surely find one that calls to you and your bathroom. For a really out-of-the-box mirror frame, there are even mirror frames for the mirror itself. 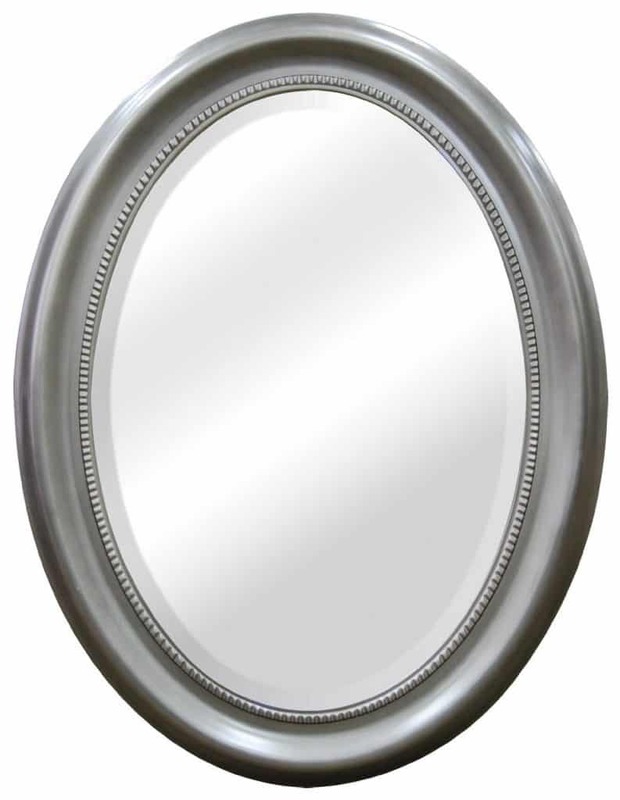 In the equally elegant frameless mirror category, your choices include beveled or unbeveled. Some frameless mirrors even have arms that are mounted to the wall, allowing you to tilt the mirror as needed. There’s also the infinity mirror, which certainly fits into the category of unique. 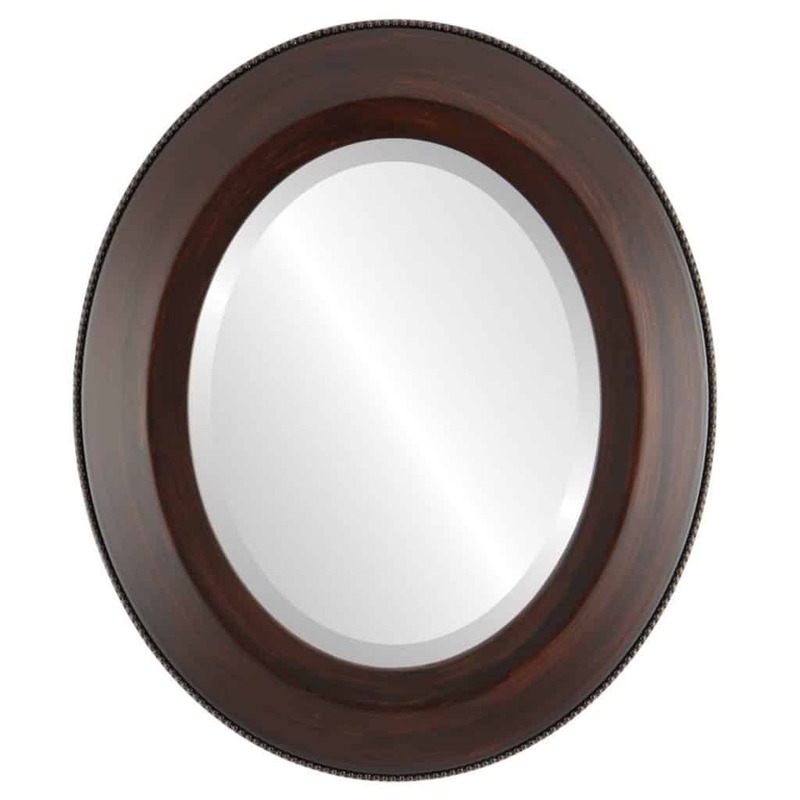 In addition to coming in a myriad of styles, oval bathroom mirrors come in a variety of sizes to fit your bathroom size and needs. Once you’ve decided on what size of mirrors are the best to complement your bathroom, next you should figure out where to put them. By assessing how much light you’d like to reflect and how much mirror space you’d like, it’s time to begin thinking about the placement. 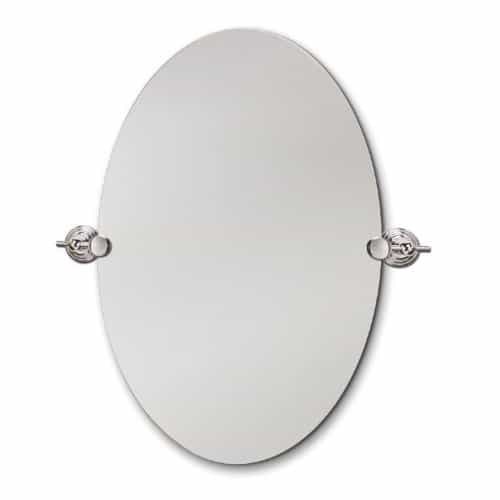 Where you place your oval bathroom mirrors can make a big change to how they look in the room. 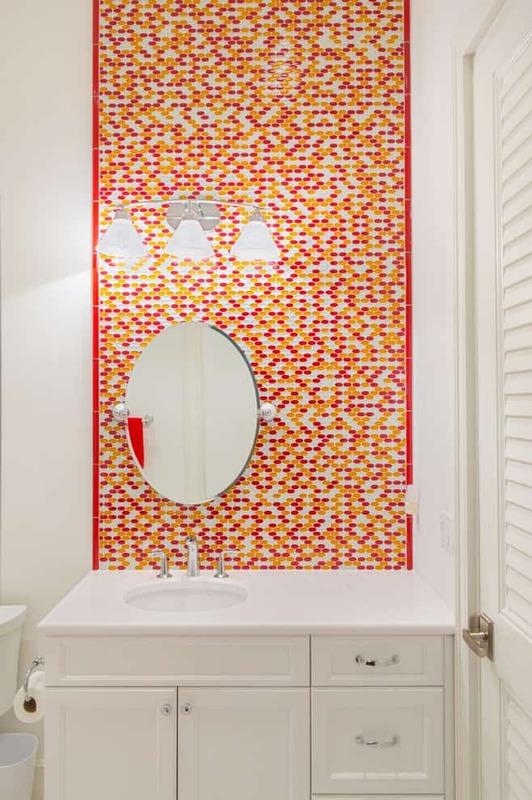 Naturally, a mirror will usually sit above the sink, but we find that people are adding more than one mirror to their bathroom as an intelligent design tool. A second mirror can reflect the light, and a floor to ceiling size can turn a larger bathroom into a multi-functional dressing area. Placing your mirrors closer or in direct line to windows will bring more light into the room during daytime as natural sunlight is reflected and scattered across the room. Bringing the outdoors in is a great way to prevent the room’s “trapping” feeling, which is common in bathrooms because they are usually warm, humid, and have little natural light. If your bathroom doesn’t provide much window space to the outside world, which is often true due to privacy and frosted glass windows, a feature oval mirror can bring an abstract slice of the natural world into the room. 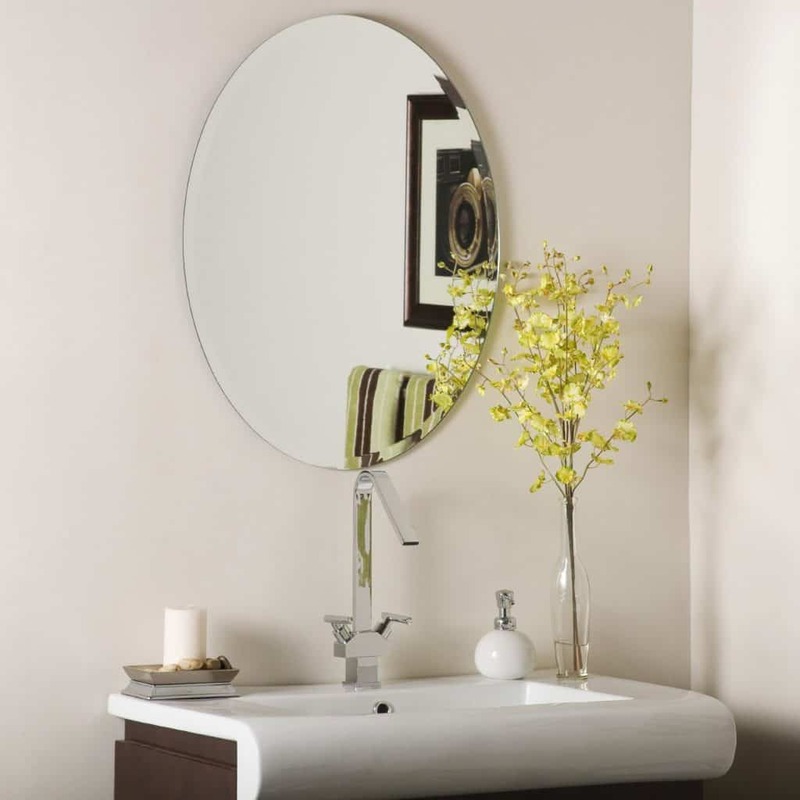 Also think about a vanity mirror with lights if light is an issue. But if privacy is your main concern and you’re after a mirror for strictly functional purposes only, then place that smaller mirror above your bathroom sink, ideally away from window places and other appliances. Your bathroom is a sacred place. It is where you bathe, you primp, you do your business, you take care of all matters of hygiene. You want a special space for these various activities. You want a space that is serene and rejuvenating. You need a space that is fair to the eye while still being functional. 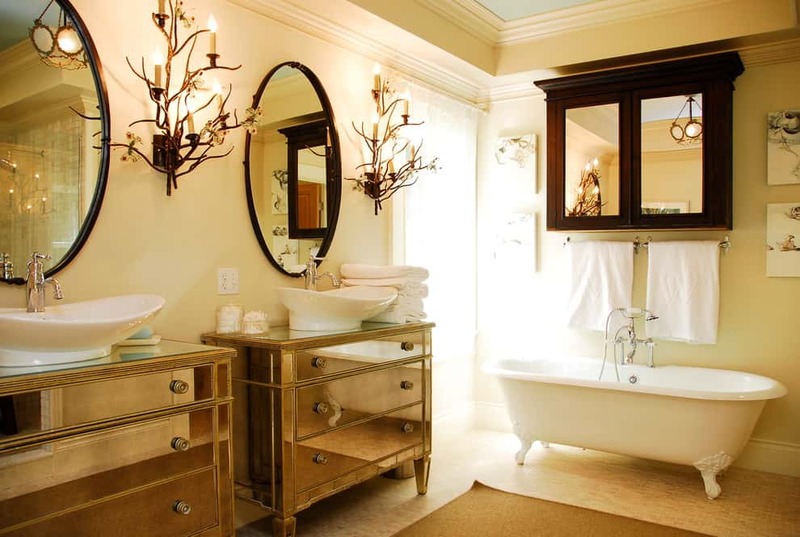 Oval bathroom mirrors are the perfect shape of mirror for bathrooms because of these very needs. With all of these choices and variety, plus the elegance and serenity of the oval shape, you are hard-pressed to find a more beautiful type of mirror for your beautiful bathroom oasis.